For the first time since the NCAA began playing the First Four games in 2011, there will be two historically black colleges and universities (HBCUs) playing each other in Dayton, Ohio: North Carolina Central University and Texas Southern. It’s kind of tough, considering one of those teams won’t get a chance to attempt to knock off one of the majors at the end of the week. But if at least one of the HBCU bands shows up in Dayton on Wednesday, at least we’ll know the music will be tight. Those HBCU coaches (Mike Davis at Texas Southern and LeVelle Moton at North Carolina Central) are among the African-American coaches in the 2018 NCAA tournament. Don’t know who they are? We’ve got you covered. How they got here: The Panthers limped into the Sun Belt Conference tournament, winning just two of their last six regular-season games. But they got hot at the right time, winning three straight in the tournament to earn the league’s automatic bid. The Panthers set school records for 3-pointers made and 3-pointers attempted this season even though the team leader, sophomore guard D’Marcus Simonds, only shot 27.8 percent from long range. Simonds just knows how to put points on the board, leading the league in scoring (20.9 points per game) on the way to winning the conference Player of the Year award and being named the Most Valuable Player of the Sun Belt Conference tournament. 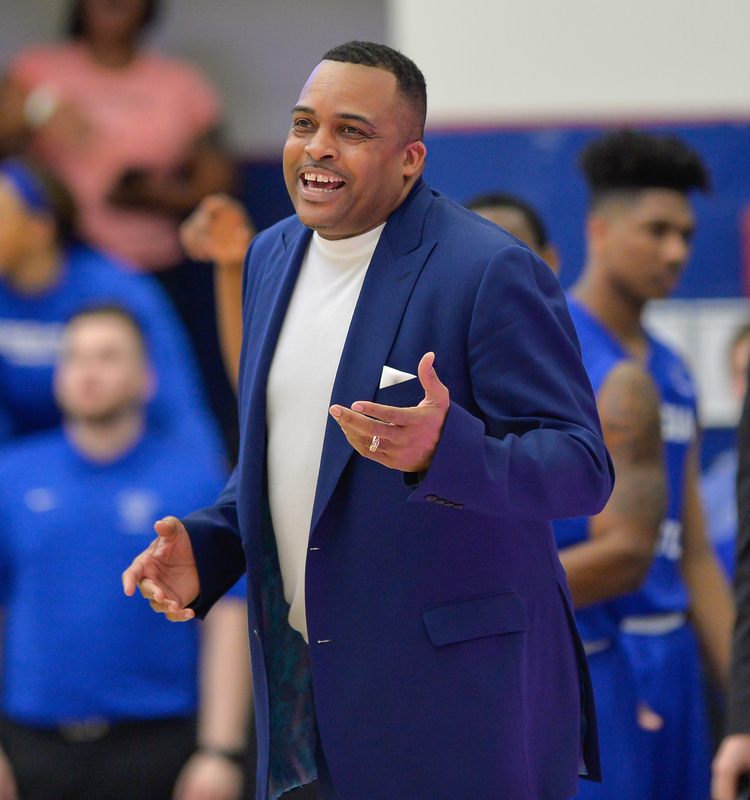 Coach’s résumé: Yes, we all know Ron Hunter from that viral moment when he, recovering from a torn Achilles tendon, fell out of his chair while watching his son (R.J. Hunter) hitting the long-range 3-pointer that clinched No. 14 Georgia State’s upset win over No. 3 Baylor in 2015. This is Hunter’s third trip to the NCAA tournament; he led IUPUI to the tournament in 2003. How they got here: It’s been a tough season for the Longhorns, who return to the NCAA tournament after a one-year absence. Sophomore guard Andrew Jones, who averaged 12 points last season, was diagnosed with leukemia in January after complaining about fatigue. In compiling a losing record in league play, the Longhorns won back-to-back games just once. With the loss to Texas Tech in the quarterfinals of the Big 12 tournament, Texas has dropped six of its last 10 games. 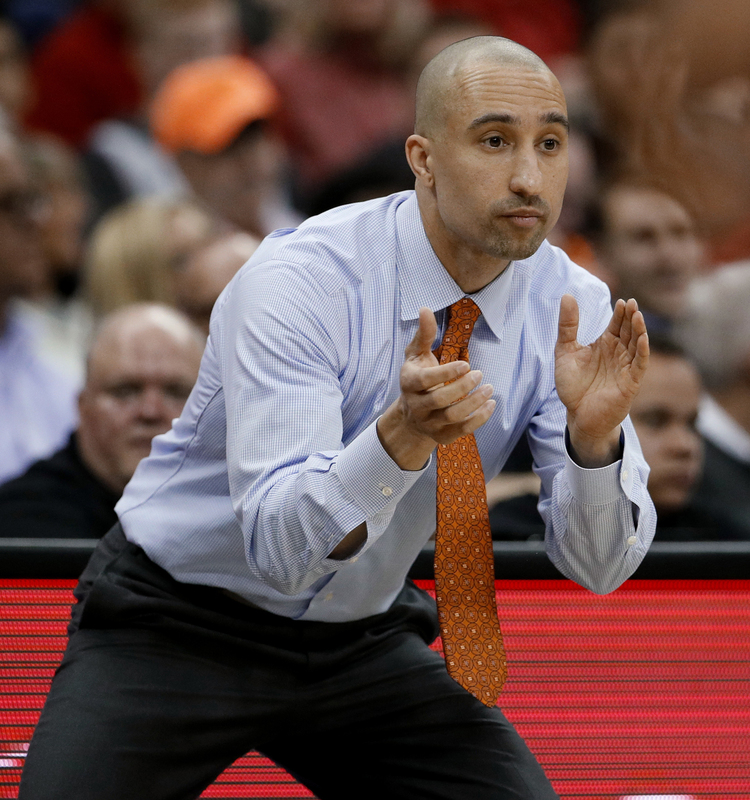 Coach’s résumé: In Shaka Smart’s third season at Texas, this is the second time he’s taken the Longhorns to the NCAA tournament. Smart led VCU to five straight trips to the NCAA tournament, including a run to the 2011 Final Four in just his second season as a head coach. Smart’s teams are known for full-court pressure defense. His overall coaching record is 213-105 (163-56 at VCU and 50-49 at Texas). NCAA tournament coaching record: 7-6 in six appearances. Opponent: No. 16 seed North Carolina Central University (Mid-Eastern Athletic Conference (MEAC) tournament champions) in a First Four game, 6:40 p.m. Wednesday in Dayton, Ohio. The winner will play No. 1 seed Xavier in Nashville, Tennessee, on Friday. How they got here: Texas Southern began its season on its annual fundraising road trip, playing its first 13 games on the road, including contests against four Top 25 teams. The Tigers lost all 13 games, including close defeats at Oregon (74-68), Clemson (84-77) and Washington State (86-84 in overtime). The Tigers enter the NCAA tournament with seven straight wins, including an 84-69 win over top-seeded Arkansas-Pine Bluff on March 10 to win the SWAC tournament championship and the league’s automatic bid. The team is led by sophomore guard Demontrae Jefferson, a former YouTube sensation who averaged 23.4 points a game this season. Jefferson was suspended for five games this season for violating team rules, which might be why last year’s SWAC Rookie of the Year didn’t show up on any all-conference teams. Coach’s résumé: Five straight postseason appearances (four NCAA, one NIT). Normally, that would result in interest from big-time programs for the coach. That hasn’t happened with Mike Davis, the onetime Indiana coach who led the Hoosiers to the 2002 title game and later led the University of Alabama at Birmingham to four postseason appearances (three NIT, one NCAA) in five years before he was fired in 2012. 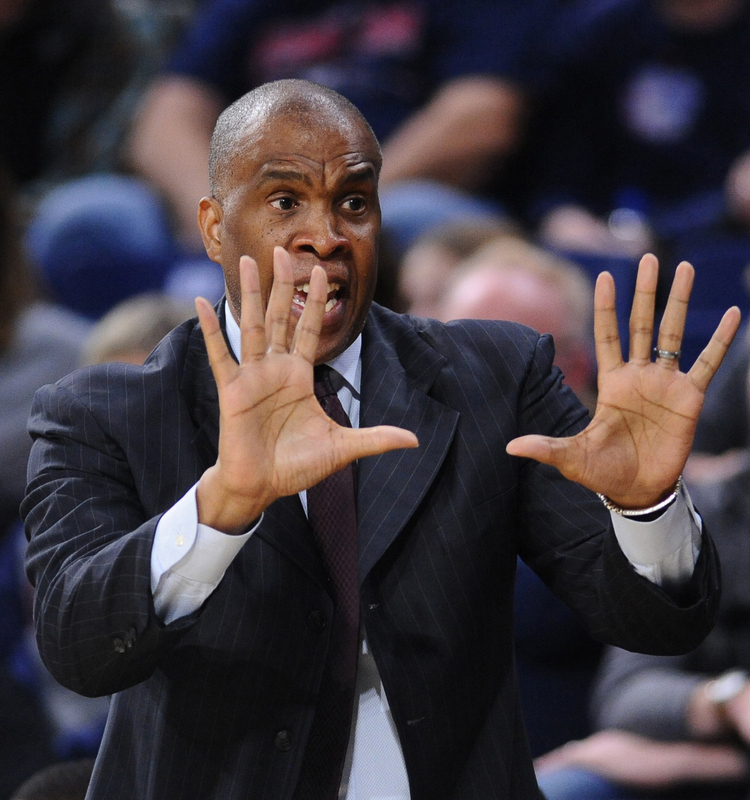 He was hired by Texas Southern later that year as an interim coach and has been there since. The team’s 2014 trip to the NCAA tournament was the first for Texas Southern since 2003 and since he’s been at the school he’s led the team to four SWAC regular-season championships, and four SWAC tournament titles. Davis is a three-time SWAC Coach of the Year (2013, 2015, 2016) and was the Conference USA Coach of the Year in 2011. Opponent: No. 16 seed LIU Brooklyn Blackbirds in First Four game, 6:40 p.m. Tuesday in Dayton, Ohio. How they got here: Radford, the No. 2 seed in the Big South Conference, won the tournament championship, 55-52, over No. 5 Liberty on a buzzer-beating 3-pointer by freshman Carlik Jones. It was the seventh straight win for Radford, which reached the NCAA tournament for the first time since 2009 and the third time in school history. The Highlanders were picked to finish seventh in the Big South in the preseason. Coach’s résumé: For Mike Jones, this is his first trip to the NCAA tournament as a head coach (he went as an assistant coach with Georgia in 2008 and an assistant with VCU during its Final Four run in 2011). Jones represents a talented basketball family. His son, Nate Jones, makes his second straight NCAA tournament appearance this week with Bucknell, where he is a junior guard. And his father, Jimmy Jones, played for seven years in the ABA, choosing that league after being selected in the second round by the Baltimore Bullets of the NBA. Jimmy Jones, who played college basketball at Grambling, averaged 19.2 points, 5.1 assists and 4.9 rebounds in the ABA before finishing his professional career in the NBA with the Washington Bullets (1974-77). 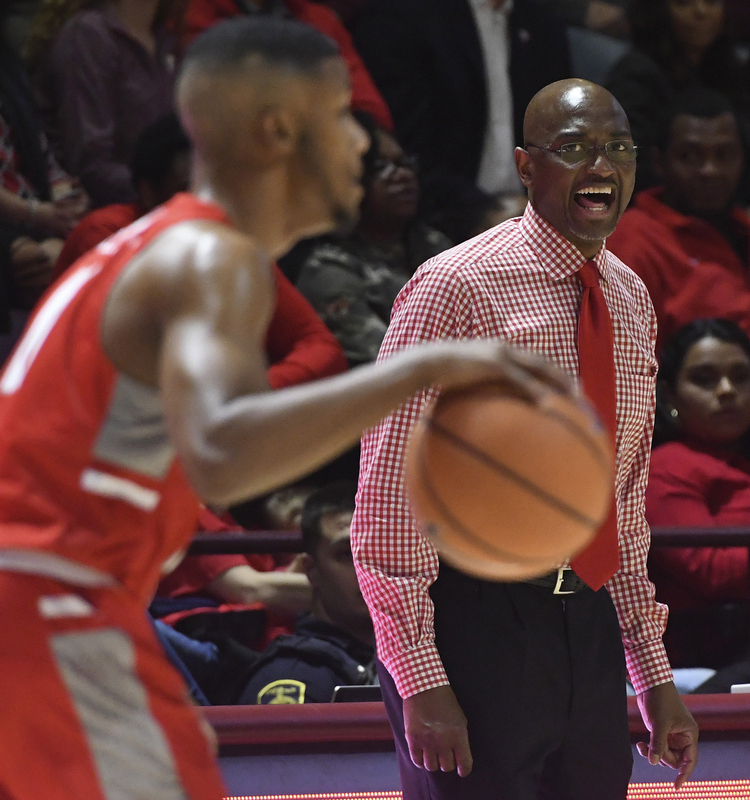 Jones, who is in his seventh season at Radford, has HBCU connections, having played four years at Howard University in the 1980s and later serving as an assistant coach with the Bison for three seasons (1994-97). 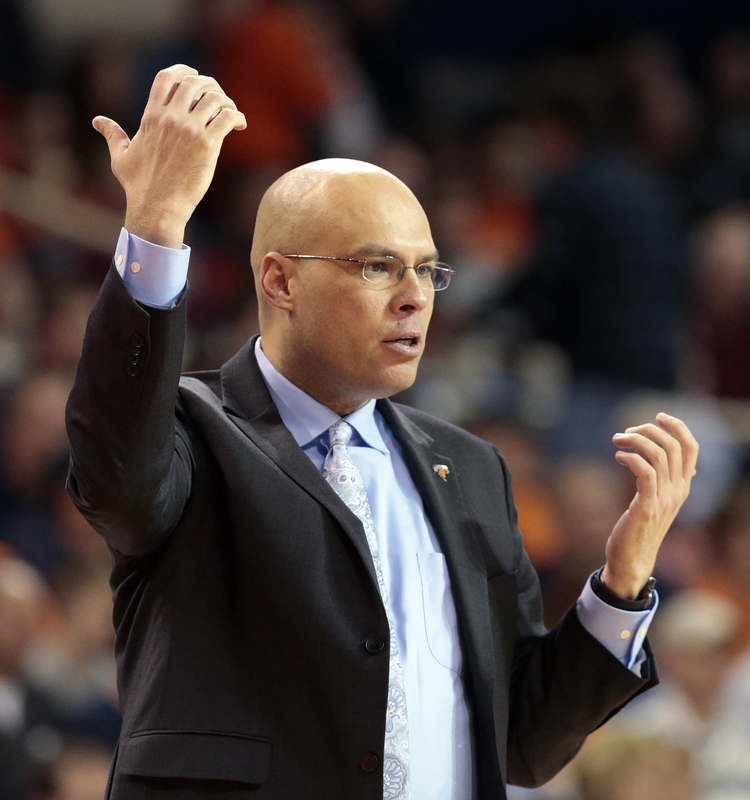 How they got here: One of the hottest teams in the nation, Bucknell has won 18 of its last 19 games and will take an eight-game winning streak into the NCAA tournament. The three wins in the Patriot League tournament were by an average of 21 points, including a 29-point win over Colgate in the championship game. Coach’s résumé: Since being named Bucknell’s head coach in 2015, Davis has won Patriot League regular-season titles in each of his three seasons and has led the team to two straight NCAA tournaments. This is the second stint at Bucknell for Davis; he was the top assistant there for five years (2003-08), which included the 2005 upset win over No. 3 seed Kansas, which was the first NCAA tournament win in the history of the school and the Patriot League. Davis was hired as head coach at Randolph-Macon in 2009, leading that team to Division III NCAA tournament appearances in each of his five seasons, including a Final Four appearance in his first year. Davis is a two-time Coach of the Year in the Old Dominion Athletic Conference (2014, 2015) and a two-time Coach of the Year in the Patriot League (2016, 2017). This is his second straight NCAA tournament appearance at Bucknell and his third straight postseason appearance (he led the Bison to the NIT in 2016). How they got here: After losing the last five games of the regular season, the Crimson Tide needed a miracle. Alabama got that in the first round of the SEC tournament when Collin Sexton drove the length of the court and scored on a floater at the buzzer for a 71-70 win over Texas A&M and followed that with an 81-63 win over 16th-ranked Auburn in the quarterfinals that clinched the team’s first berth in the NCAA tournament since 2012. Sexton, a freshman, averages 19 PPG and is playing his best basketball of the season, as he was named to the All-SEC tournament team. 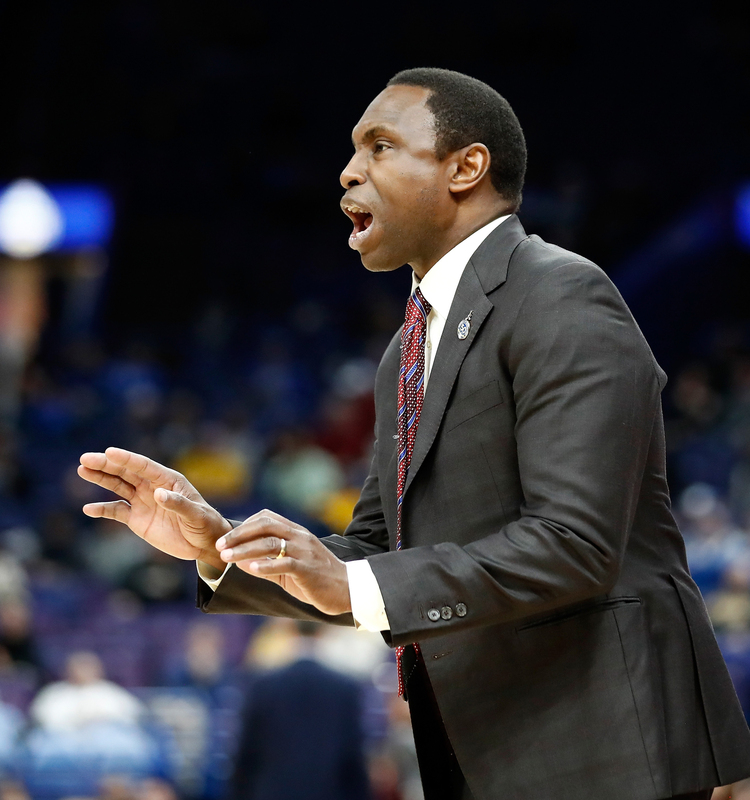 Coach’s résumé: Avery Johnson enjoyed early success in his first stint as a head coach, winning the NBA Coach of the Year Award after leading the Dallas Mavericks to 60 wins and a Western Conference championship in his first full season (2005-06). Johnson had two more winning seasons in Dallas (including 67 wins in 2006-07) before being hired by the New Jersey Nets in 2010. He couldn’t salvage the mess in New Jersey, never winning more than 24 games before being fired in 2012 during the team’s first year in Brooklyn when the Nets started the season 14-14. He was hired by Alabama in 2015 and led the Crimson Tide to two straight NIT appearances before making the NCAA tournament this season. How they got here: Arkansas won eight of its last 11 games and was the No. 6 seed in the SEC tournament, where it lost to No. 2 seed Tennessee in the semifinals. This is the third trip to the NCAA tournament in four seasons for the Razorbacks, who are led by senior guards Jaylen Barford (18 PPG) and Daryl Macon (16.9 PPG), but it’s 6-foot-11 freshman Daniel Gafford (11.9 PPG, 2.1 bpg) who is the difference-maker for the Razorbacks. 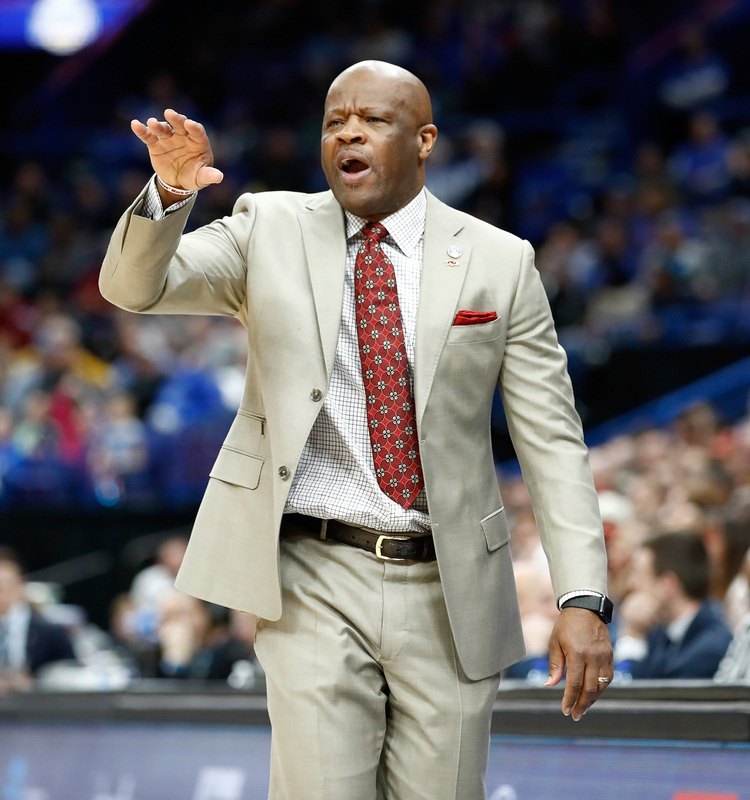 Coach’s résumé: Mike Anderson came to Arkansas in 2011 and, after missing the NCAA tournament in his first two seasons, has reached the postseason in four of his last five years (three NCAA tournament appearances and one NIT). His previous stints as a head coach include five years at Missouri (three straight NCAA tournament appearances, including a trip to the Elite Eight in 2009), and four years at Alabama-Birmingham (three trips to the NCAA tournament, including a Sweet 16 appearance in 2004). Before becoming a head coach, Anderson was a longtime assistant at Arkansas under the legendary Nolan Richardson. NCAA tournament coaching record: 9-8 in eight appearances. How they got here: The Titans, the No. 4 seed, won three straight games in the Big West Conference tournament, reaching the NCAA tournament for the first time since 2008 and just the third time in school history. Cal Fullerton beat top-seeded Cal Davis in the semis on the way to the becoming the eighth Big West team to win the tournament title in the past eight years. Junior guards Kyle Allman Jr. (19.4 PPG) and Khalil Ahmad (15.3 PPG) led the Titans’ high-scoring backcourt and were named to the all-tournament team (Allman was the MVP). During the regular season, Allman was named to the All-Big West Conference first team, while Ahmad was a second-team pick. Coach’s résumé: Dedrique Taylor became the head coach at Cal State Fullerton in 2013 and endured three straight losing seasons before leading the Titans to a winning record and a berth in the CIT tournament in 2017 after a third-place finish in the Big West. Taylor began his coaching career in 2000 at UC Davis, where he played between 1995-97. He was also an assistant at Portland State (2002-04), Nevada (2004-06), and Arizona State (2006-13). How they got here: The Cougars, the top seed in the CAA, came back from five down with 40 seconds left against No. 2 seed Northeastern to win the CAA tournament title and earn the school’s first trip to the NCAA tournament since 1999. With 14 wins over the past 15 games, the Cougars appear to be peaking at the right time. Sophomore guard Grant Riller (18.7 PPG), senior guard Joe Chealey (18.5), and junior forward Jarrell Brantley (17 PPG, 7.1 rebounds per game) lead the Cougars, who are making their fifth NCAA tournament appearance in school history. The school’s only NCAA tournament win came against Maryland in 1997. 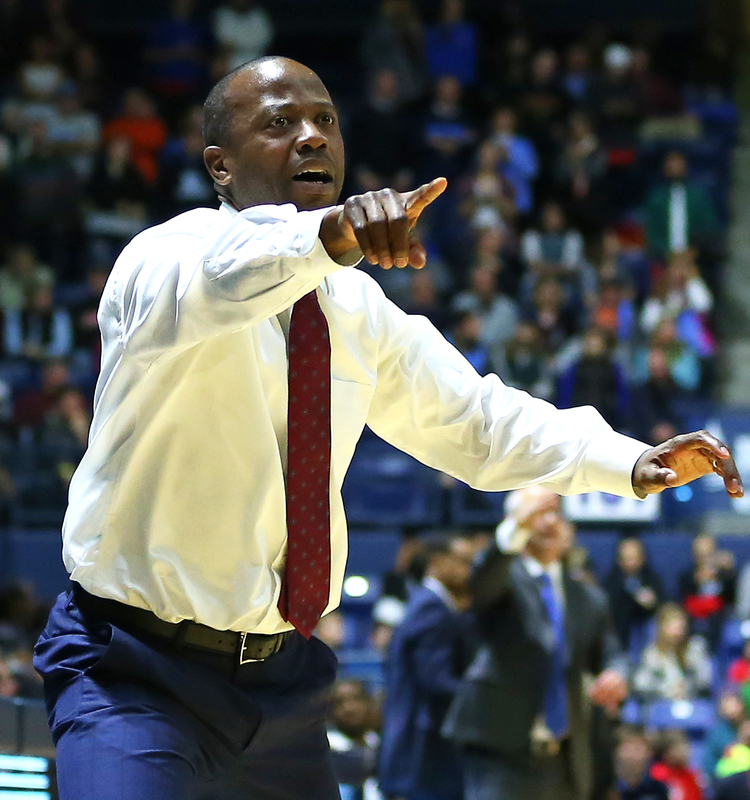 Coach’s résumé: After 12 years as an assistant, Earl Grant got his first chance as a head coach when he was hired by the College of Charleston in 2014. His team won just nine games in his first year, but since then he’s had a winning record each season, including a trip to the 2017 NIT before reaching the NCAA tournament this year. Grant is a native of North Charleston, South Carolina. He played college basketball at Georgia State (Division II) before beginning a career as an assistant coach that took him to The Citadel, Winthrop, Wichita State and Clemson. How they got here: The Tigers entered the SEC tournament anticipating the return of Michael Porter, who was expected to be one of the best players in the nation until injuring his back two minutes into the regular season, which led to back surgery. But working him in was difficult, and the Tigers lost their SEC tournament opener to Georgia. Still, Missouri earned a spot in the NCAA tournament for the first time in five years, helped in its bid by its 3-2 record against teams in the Top 25 with wins over Texas A&M, Kentucky and Tennessee. Three players scored in double figures this season, led by Kassius Robertson (16.2 PPG), Jordan Barnett (13.7 PPG, 5.9 RPG) and Porter’s little brother, Jontay (10.1 PPG, 6.8 RPG). If Michael Porter can play at a high level without negatively affecting the chemistry of the team (it was problematic in the loss to Georgia), the Tigers will be a tough out. 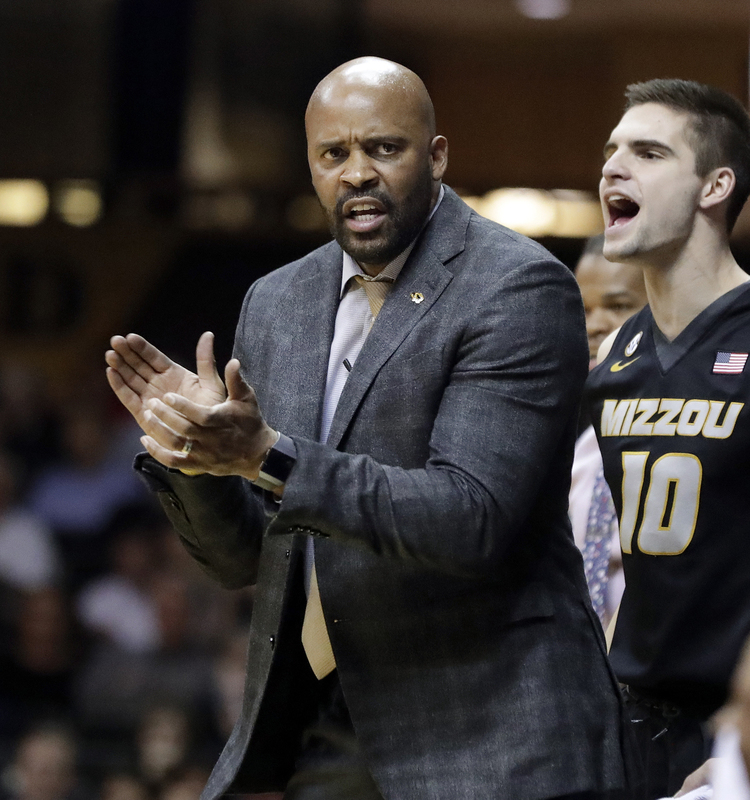 Coach’s résumé: Cuonzo Martin is taking the Tigers to the NCAA tournament in his first year at Missouri. Martin coached at Cal (winning seasons in each of his three years, including one appearance in both the NIT and NCAA tournaments), three years at Tennessee (two trips to the NIT and a run to the Sweet 16 in the 2014 NCAA tournament), and three years at Missouri State (a CIT championship in 2010 and the NIT in 2011, when he was named the Missouri Valley Conference Coach of the Year). Martin was a 1995 second-round pick of the Atlanta Hawks after playing college basketball at Purdue. He played in just seven NBA games before going overseas to play professionally in Italy. How they got here: The Seminoles opened the season with 11 straight wins, playing a soft schedule that featured just one game against current NCAA tournament teams (they won at Florida on Dec. 4 to improve their record to 9-0). That dominance didn’t continue into the ACC season. Yet, the Seminoles did have wins over North Carolina, Syracuse and Miami. Junior guard Terance Mann (13.2 PPG), senior forward Phil Cofer (13.1 PPG, 5.1 assists per game) and senior guard Braian Angola (12.9 PPG) are the top scorers for Florida State, which averages 81.8 PPG. 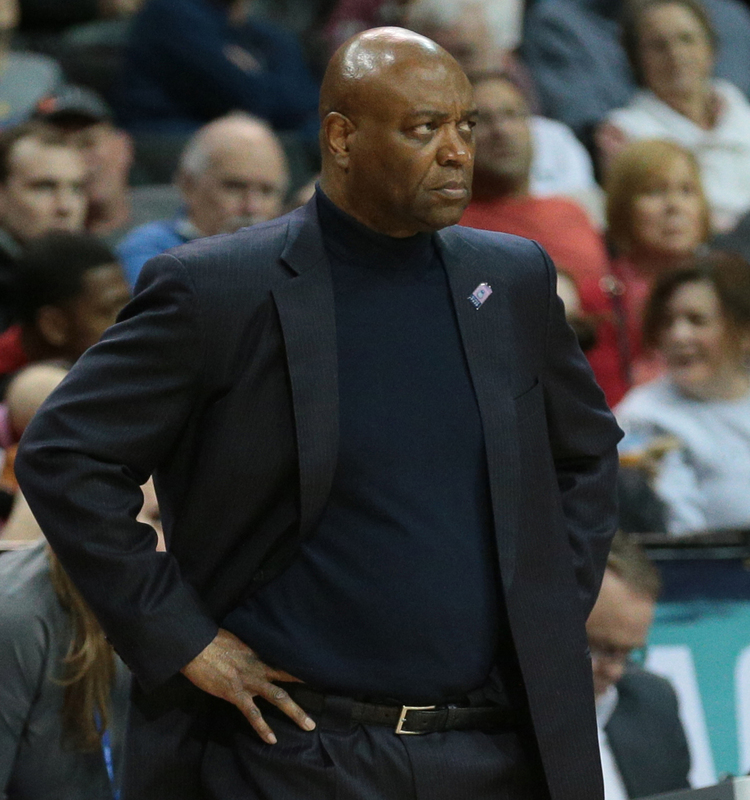 Coach’s résumé: Sixteen years later, Leonard Hamilton is still coaching at Florida State. This is his sixth trip to the NCAA tournament with Florida State, and it will be his ninth overall in 23 years of coaching college basketball. Last year the Seminoles reached the round of 32, and in 2011 Hamilton had his best season at Florida State when he led the team to the Sweet 16. He’s been named the ACC Coach of the Year twice (2009, 2012). Hamilton came to Florida State from the NBA, where he coached a season with the Washington Wizards. Before that he coached a decade at Miami, where in 1995 he was named the UPI National Coach of the Year and was twice named the Big East Coach of the Year. How they got here: The Grizzlies won the Big Sky regular-season title, and earned the automatic bid to the NCAA tournament by beating Eastern Washington in the Big Sky tournament championship game March 10. Montana has three players averaging in double figures: junior guard Ahmad Rorie (17.3 PPG), junior guard Michael Oguine (15.7 PPG) and junior forward Jamar Okoh (13.3 PPG, 6.7 RPG). This is the first NCAA appearance for Montana since 2013, when the Grizzlies were crushed by Syracuse in the first round, 81-34. The team hasn’t had an NCAA tournament win since 2006. Coach’s résumé: Travis DeCuire is Big Sky Coach of the Year after a season where the Grizzlies had a 13-game winning streak. He has been impressive since returning to his alma mater as coach in 2014, winning 20 games in each of his first two seasons. DeCuire, who’s from Seattle, was an assistant for five years at Old Dominion and an assistant for six years at Cal before being hired by Montana. As a player, DeCuire was named to the All-Big Sky team during his junior and senior years. How they got here: NCCU received the automatic bid as the No. 6 seeded Eagles upset top-seeded Hampton in the MEAC championship game. This is the second straight trip to the NCAA tournament for the Eagles, and the third in school history. Junior center Raasean Davis averaged 15 PPG and eight rebounds per game during the season and hit 13 of his 16 shots from the field in the MEAC semifinal and final games en route to making the all-tournament team. Pablo Rivas was the tournament’s MVP, as he averaged 19 points over three games — nearly eight points over his season average. 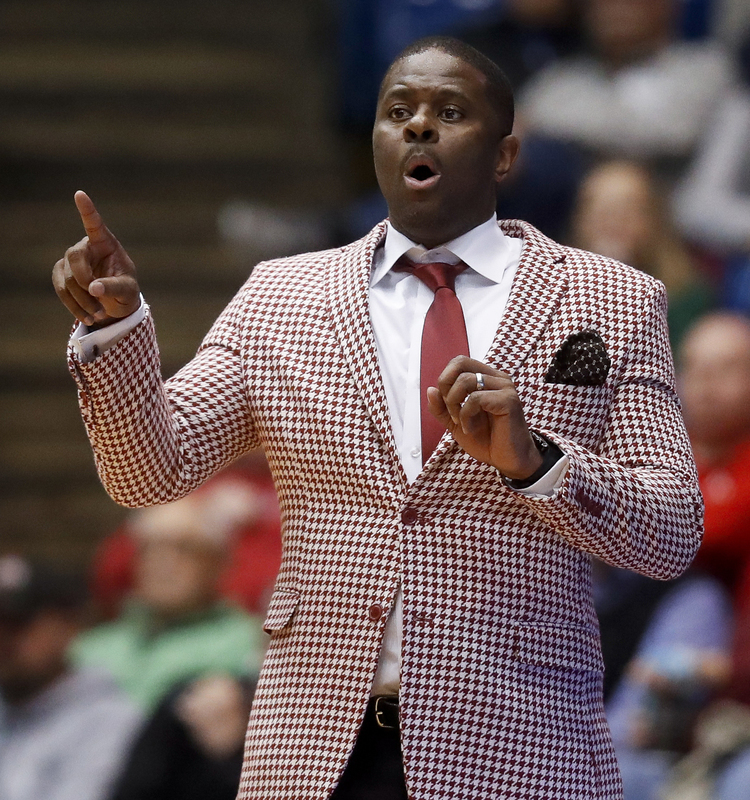 Coach’s résumé: LeVelle Moton was named head coach in 2009 when the team was playing as a Division I independent after making the transition from Division II. 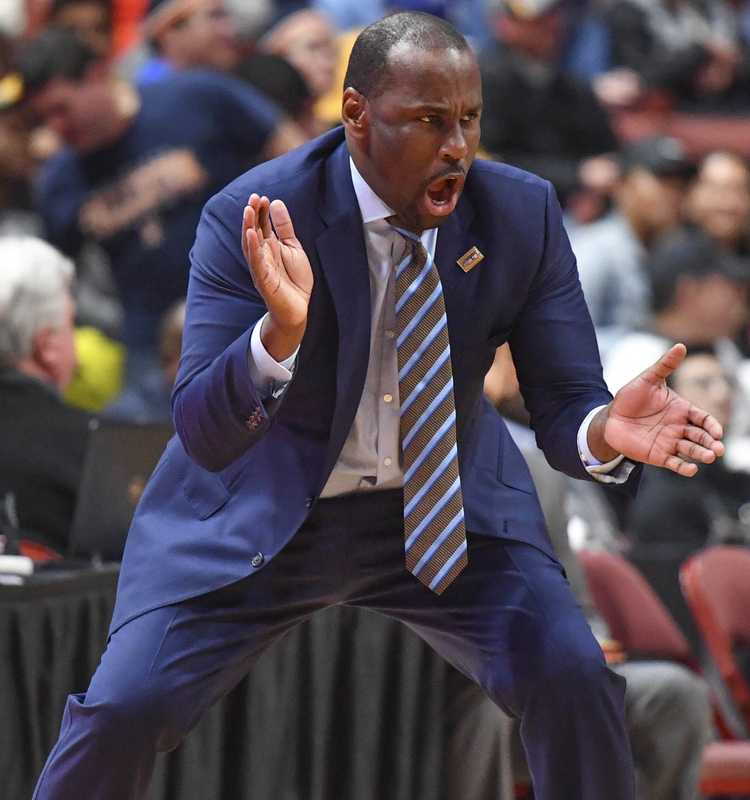 In the seven seasons since joining the MEAC in 2011, Moton has led the team to three first-place finishes in the regular season, three trips to the NCAA tournament and one trip to the NIT. Moton is a 1996 graduate of North Carolina Central, ending his career as the school’s third all-time leading scorer while earning the nickname “Poetry in Moton.” He was inducted into the school’s Hall of Fame in 2004. How they got here: Despite North Carolina State, the No. 5 seed in the ACC tournament, getting bounced in its opening game against No. 12 seed Boston College, the Wolfpack still made the NCAA tournament. This is the first trip to the NCAA tournament for N.C. State since 2015, and this year’s appearance was earned on the strength of six wins in 13 games played against 2018 tournament teams. Senior Allerik Freeman has been the team’s best player, averaging a career best 15.4 PPG and grabbing 4.1 RPG. Omer Yurtseven is a sophomore center who has shown a lot of promise, averaging 13.8 PPG and 6.9 RPG. Coach’s résumé: Kevin Keatts has the Wolfpack in the NCAA tournament in his first year at North Carolina State. He’s had an impressive season, becoming the first coach to beat Duke, North Carolina and Wake Forest in his first attempt in nearly 100 years. 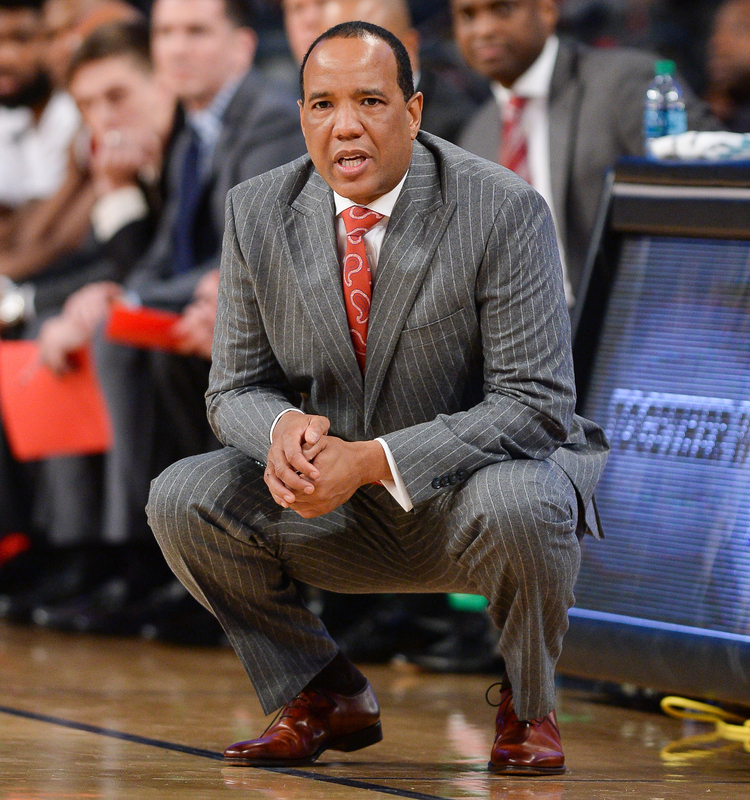 Keatts came to North Carolina State from UNC-Wilmington, where he led the Seahawks to three straight first-place finishes and two straight NCAA tournament appearances (2016, 2017). How they got here: Entering the Big East tournament as a No. 5 seed, the Friars shocked No. 1 seed Xavier in the semifinals, making a surprise trip to the championship game, where they lost to the No. 2 seed Villanova. 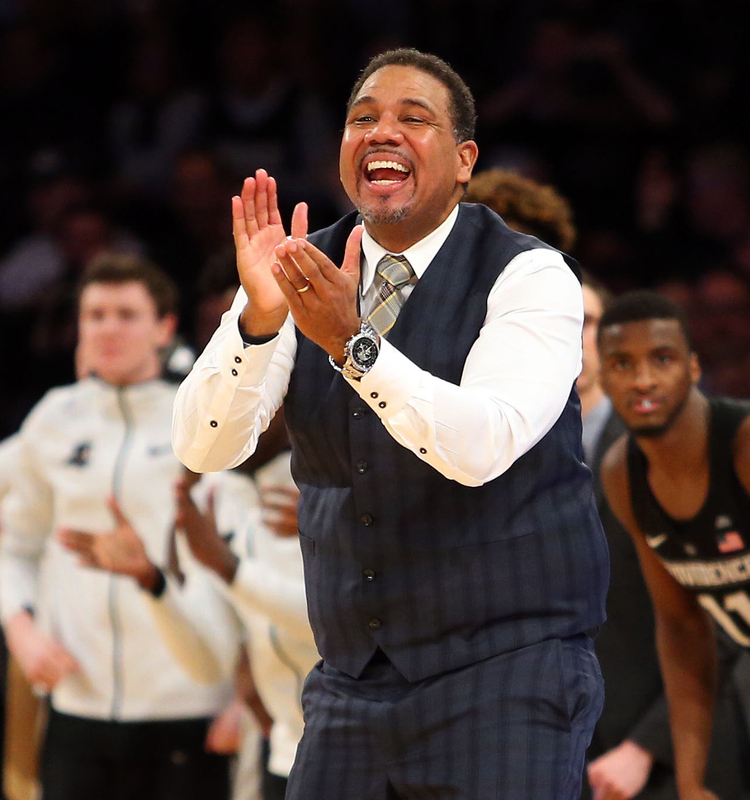 Coach’s résumé: For Ed Cooley, this is the fifth straight trip to the NCAA tournament, the longest consecutive stretch in program history. Last year, the Friars lost a First Four game 75-71 to USC. 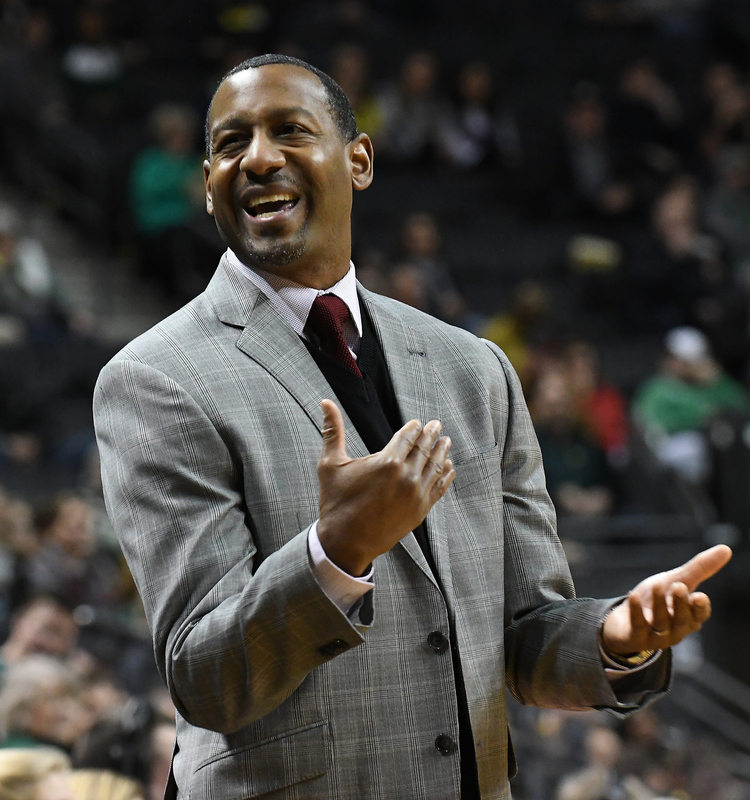 Before taking over at Providence in 2011, Cooley coached for five years at Fairfield, where he led the team to two 20-plus-win seasons and postseason appearances in the CIT (2010) and NIT (2011). How they got here: Butler enters the tournament with losses in six of its last nine games but did get a win over Seton Hall in the quarterfinals of the Big East tournament before losing to eventual champion Villanova in the semifinals. Senior forward Kelan Martin (20.8 PPG, 6.2 RPG) is the team’s top scorer and rebounder, with sophomore guard Kamar Baldwin (15.5 PPG) and junior guard Paul Jorgensen (10.5 PPG) also scoring in double figures. Butler, which is a model program on how you go from mid-major to major (the Bulldogs represented the Horizon League when they reached the 2010 championship game), is making its fourth straight trip to the NCAA tournament. 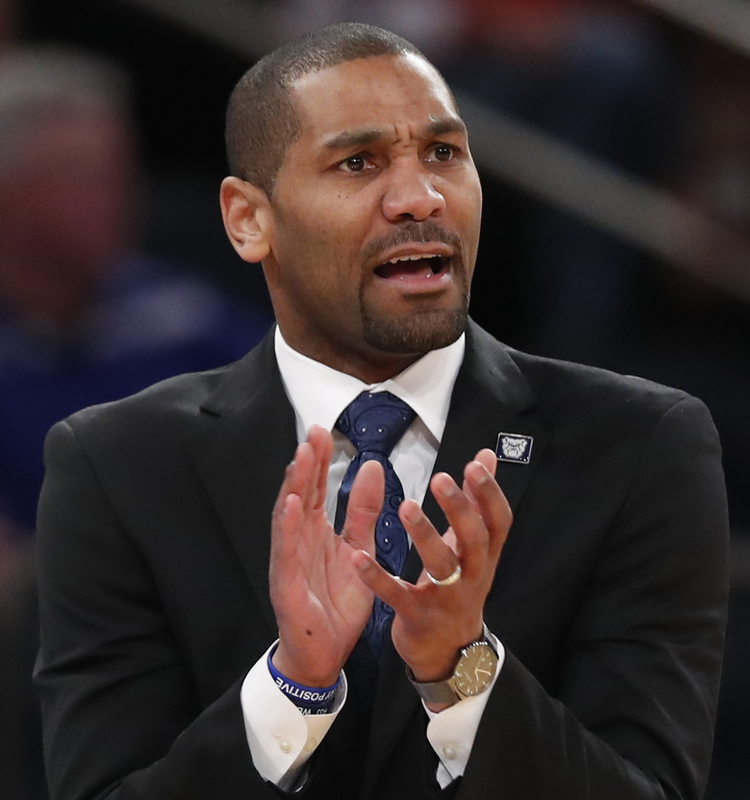 Coach’s résumé: LaVall Jordan is in the NCAA tournament in his first year at Butler. Previously he was the head coach at Milwaukee, where the Panthers finished 11-24 during the 2016-17 season. Jordan has worked as an assistant at Michigan, Iowa and Butler. He played at Butler from 1998-2001, helping lead the Bulldogs to three Midwestern Collegiate Conference titles while twice being named to the all-conference teams and winning the MVP award of the 2001 Midwestern Collegiate Conference tournament. He was on the Butler team that beat Wake Forest in the 2001 NCAA tournament, the school’s first win on that stage in 39 years.